To apply the value of your tickets to a membership, upgrade online, call us at 703.780.2000 or visit any guest services desk on the estate. Online trade-in is currently unavailable for tickets purchased with a military discount; please call 703.780.2000 or visit a guest services desk. Call our call center and we can upgrade your tickets to a membership today! Save year-round on admission when you become a member! Members enjoy free daytime admission to the estate and discounts at our restaurant and gift shops. With a membership to Mount Vernon you receive free daytime admission all year round. 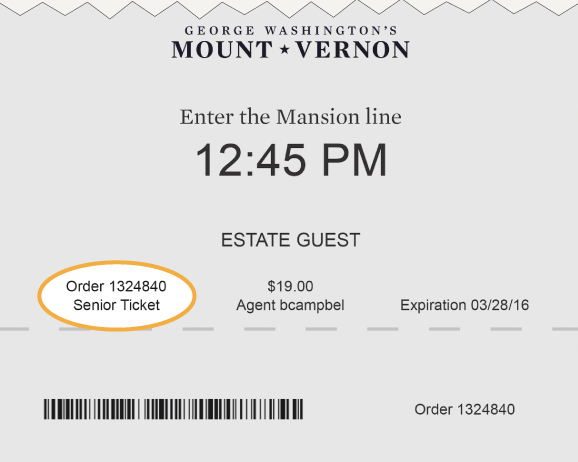 Access to special evening event pre-sales, free audio tour device rentals, an official guidebook, a subscription to our award winning magazine and 10% off at the Mount Vernon Inn and the Shops at Mount Vernon.